‘Hermann of the Cherusci’ and the Varus Battle found their way into the German founding myth a long time ago. Arminius, whose Teutons roundly defeated three of Varus’ legions, was already described as the ‘Liberator of Germania’ by Tacitus. 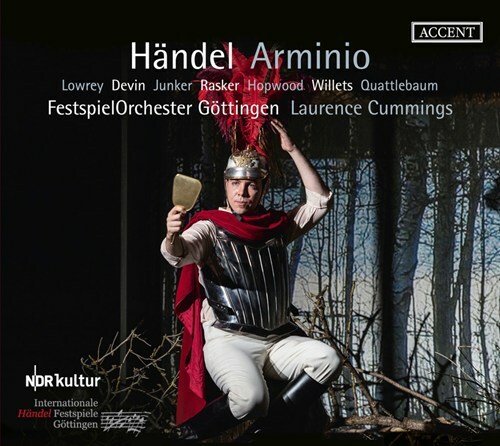 In Handel’s Arminio, the liberation battle is only the background against which the characters come to terms with themes like honor, duty, obedience, love, and freedom. 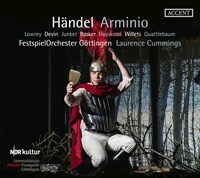 Arminio premiered in the Covent Garden Theatre on January 12, 1737 but disappeared from the London stage after only six performances. 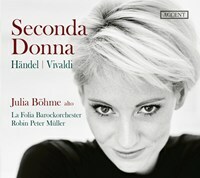 Almost 200 years later, it was revived in Leipzig as Hermann und Thusnelda. 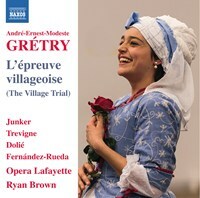 After performances in Halle (2014) and Karlsruhe (2015), this late work of Handel has been recorded at the Handel Festival in Gottingen 2018 and is now presented on this release. 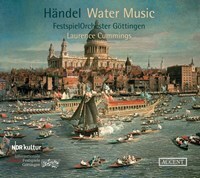 If you like Handel: Arminio, HWV 36, please tell your friends! You can easily share this page directly on Facebook, Twitter and via e-mail below.